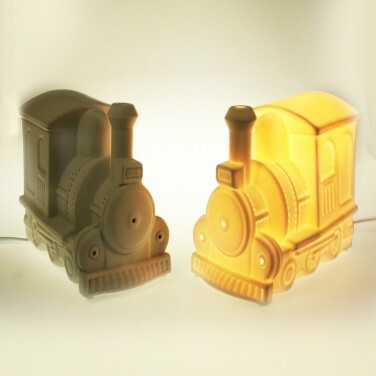 All aboard the dream time express! 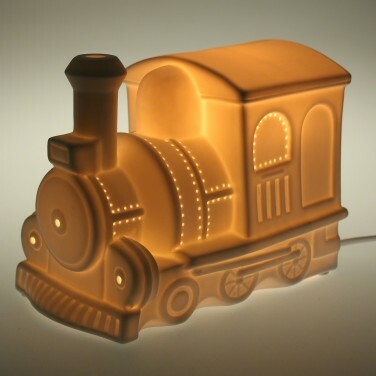 This stunning traditional train engine night light is detailed with pin holes that allow warm white light to shine through for reassurance at night. 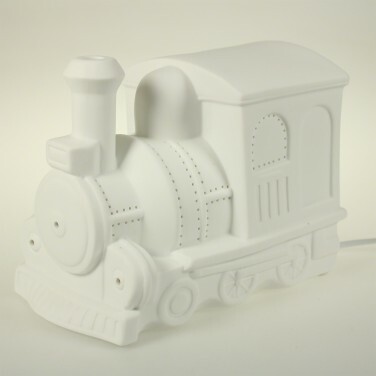 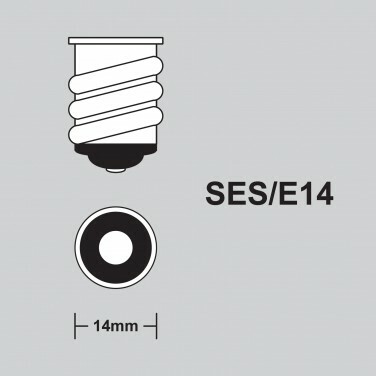 Made from porcelain, this stylish lamp is a beautiful addition to any nursery or kids room and mains operated, with an inline switch, you can leave it switched on far as long as your little one needs it.